The youth of any country is the rock upon which the foundation of its future is laid. The pressure on the youth to decide on their career prospects begins as early as 15-16 years of age, as soon as one enters higher secondary school. Broadly speaking, MBBS is one-half of the career option of a major part of the Indian population, the other half being engineering. Bachelor of Medicine, Bachelor of Surgery; this inconsistent abbreviation translated from Latin is one of the most respected courses of study since time immemorial. Every year millions of students apply for these examinations throughout the country but the cut-throat competition and the limited number of seats leads to disappointment for a major segment of the aspirants. The fortunate few who manage to clear the exams have to go through extensive studies, hurdling over a pile of books and infinite information about God’s most complex creation on this planet. It is a journey of four and a half years of curriculum followed by one year of rotating internship. During these five and a half years, a student transforms from an aspirant to an achiever. However, this is just halfway through the journey. Students have to go for their post-graduation to attain specialization in their fields. The flow of information never stops in this field of study, and doctors have to keep themselves updated with all the new research and development in medical science. Saying would not be wrong that MBBS is the first step of an ever increasing ladder; the doorway to a life full of respect, responsibility, and contentment. The knowledge and ability to cure, gives a doctor a better perspective towards life. The proficiency to save a life translates into the best version of job satisfaction, and in the end, it all seems worth the effort. Saying would not wrong that this field is too vast and cannot be cover in words even. Well!!! We can go with the starting that The Indian Medical System is divided into two sectors a) Public Healthcare sector. b) Private Healthcare sector. The National Health Survey-3 stated that 60% of inhabit tat of urban areas and 30% residents of rural areas opt for the private medical sector. Dependency upon either private health care sector or public health care sector differs from state to state. Maximum people rely on the private sector than public sector the root cause being the improper care delivered to the patients by the latter. Majority of the public medical sector is situated in the rural areas, and the improper care and medication to patients are the result of in experienced doctors or professionals who are least interested to deliver the service to the poor. Some of the major reasons of poor public sector facility are- unhygienic environment, shortage of beds and medicines and adequate treatment, lack of updated medical equipment compared to private healthcare sector. 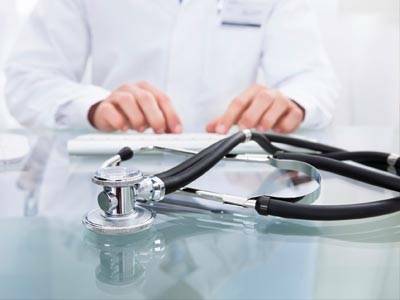 IMS Institute for Healthcare Informatics in 2013 carried out a study in 12 states over 20,000 households which depicted there is a hike of usage of private healthcare facilities than the public sector. Prime Minister Narendra Modi introduced the universal health care system called the National Health Assurance Mission , through which all the citizens were given free medicines, treatments etc .But unfortunately this scheme couldn’t be executed due to budget issues. Private health care sectors started flourishing from 2005. They provide best and updated treatment to their patients at an unaffordable cost because there is no government body to check on private sector medical malpractices. In April 2005 the National Rural Health Mission (NHRM) was started to provide best health medication to the rural people focusing on 18 states which lacked in good doctors and updated medical equipment. There are very few experienced doctors compared to the huge population residing in these states. On May 1, 2013, The National Urban Health Mission was initiated to cater the requirements of urban residents putting maximum emphasis on the urban poor residents. This mission aimed to deliver best medical assistance at the minimal cost which could be easily afforded by this group of people. Due to costly treatment in private sectors and unavailability of good care in the public hospitals very few urban resident mothers go under maternity care. This leads to numerous ailments to the new born children. It is found that maximum children under five years of age are lack of nutrition. The malnutrition is the result of less intake of proper food. The poor can’t afford to buy food and basic amenities due to the high cost. It is a big challenge for the rural healthcare sectors as there is unavailability of updated medical equipment, adequate medicine supply and experienced and trained medical staffs and they also lack in funds to upgrade them in totality. The Indian government should focus on the drawbacks of the public and private health care sectors. All the residents have the right to avail good health care facilities residing in a developed country like India. In India, there is a number of coveted medical colleges available. It does not matter in which part of the country you located as they are available everywhere whether it is Patna, Gujrat, Delhi or so on. Students who wish to be doctor to serve others can get admission and go for it. If you wish to get enrolled in your favorite college to acquire MBBS degree. 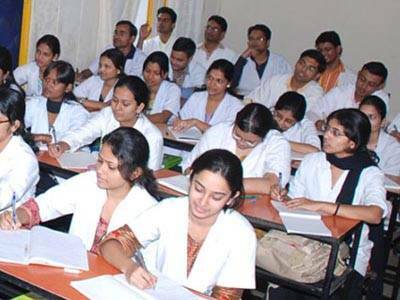 All Medical colleges follow eligibility criteria issued by their affiliated university for MBBS admission in India. But if talks about the general eligibility criteria then the candidates looking to get admission to a medical college must have passed Senior Secondary Examination of CBSE (Central Board of Secondary Education) or it must be equivalent with physics, chemistry, and Biology. Without having these subjects, you would not be allowed to apply for MBBS degree. We are here with the best advice to serve you. It has been a long time in this field and we feel proud making many students happy by get them admission in their desired colleges. We do not only guide you but also let you know that what is going on the latest. There is a gigantic team. When you feel confused what course and college would be right to choose, you just need to choose us. The gigantic team will let you know all sorts of required information regarding your college and subjects. Apart from it, we also inform you what credential you need to have to get in your favorite college. The best thing is that we have been catering in this field since long and students are happy with our service. Whether you want to take admission in India or outside country, for both we are available here to cater you. So, what are you waiting for? You need to call or drop a mail us and we will get back to you within no time to help you to get dream come true.